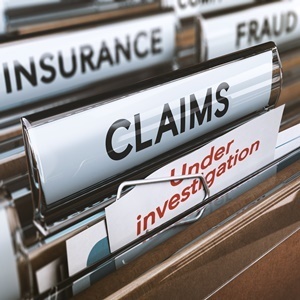 Employees committing fraud is a growing risk concern in South Africa and there has been a huge increase in insurance claims related to fidelity crimes. This is one of the findings of a survey done by the global insurance company Chubb. There were 481 respondents from key industry sectors in 24 African countries. In the overall survey, fidelity fraud or crime was identified by risk managers as the 6th greatest exposure to risk for multinationals operating on the continent. Cyber risk came out as as the top concern and a "real and present danger" for multinationals doing business in Africa. "Several respondents felt the cost of cyber insurance cover was prohibitively expensive," states the survey report. "However, a marked and recent uptick in ransomware attacks has spurred interest (in comprehensive insurance)." Another key risk identified in the survey was political and trade credit risk. According to the survey, current political turmoil continues to drive an increase in business indecision, social unrest and riot risk. "As businesses continue to expand across borders, they are faced with a number of geopolitical threats such as expropriation, discrimination, political violence, forced abandonment, trade agreements and exchange controls," states the survey report. The survey also found that terrorism has in recent years become an increased risk concern. "The main challenge for risk managers currently is how to prepare companies for an increasingly threatening world in which terrorism and political violence are very real and changing threats," states the report. Two other top risks identified in the survey were rising levels of environmental legislation, but often with no uniformity across jurisdictions and power generation challenges. Neil Beaumont, Chubb's regional head of business development and major accounts in Eurasia and Africa, explains in the survey report that foreign investors as well as local South African companies continue to seek growth opportunities in Africa. They are looking for new opportunities in service-based industries, manufacturing, construction and intra-African trade. These new growth opportunities, however, bring with them challenging new risks.